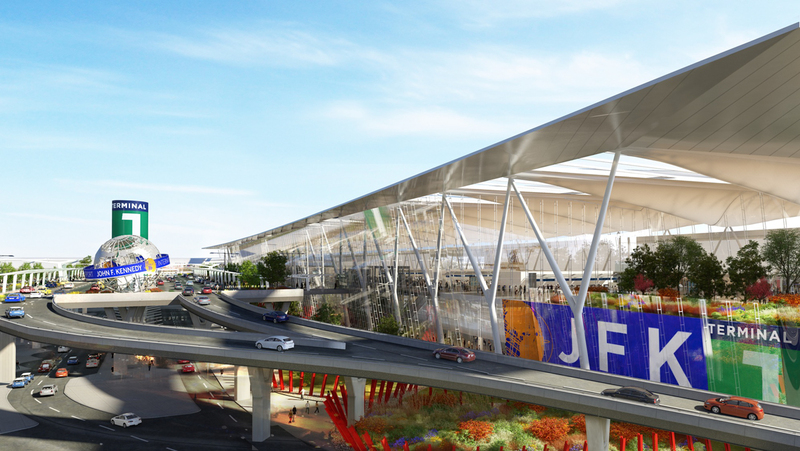 New terminal will be fueled by a target of 100% renewable energy. The Terminal One Team, comprising Terminal One Group Association (TOGA) and its world-class team of operating and financial partners, today welcomed the Port Authority of New York and New Jersey’s decision to move forward with the redevelopment and expansion of John F. Kennedy (JFK) Airport’s Terminal One in accordance with Governor Cuomo’s Vision Plan for JFK. Terminal One Group Association comprises Air France, Lufthansa, Korean Air and Japan Airlines – all of which partnered in 1994 for the original development of Terminal One at JFK. TOGA is joined by a world-class team of operating and financial partners to help deliver one of the largest public-private partnership projects in America. The TOGA team is an innovative coalition of airlines, labor, minority- and women-owned businesses and strong financial partners that includes: The Carlyle Group, together with its dedicated airport platform, CAG Holdings, JLC Infrastructure, Ullico and Munich Airport International. “Governor Cuomo has thrashed all the myths about minority participation in major infrastructure projects by insisting on a 30 percent standard throughout the project,” said Earvin “Magic” Johnson, co-founder of JLC Infrastructure. “The old excuses – there are not enough minority contractors, not enough minority financing, not enough minority entrepreneurs – have all been tossed out the window with this project.” JLC Infrastructure is a Port Authority-certified minority owned business and will provide financing for the project.